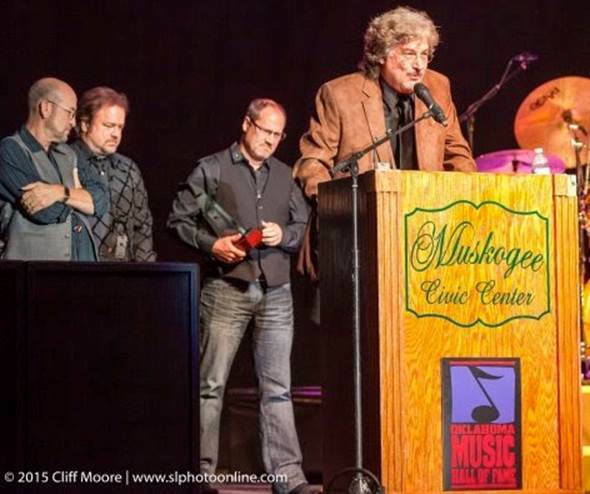 Music Business alumnus Larry Stewart, Class of 1983 and lead vocalist and guitarist of the band Restless Heart, was able to look on as his band was formally inducted into the Oklahoma Music Hall of Fame on Oct. 16. The band personally accepted the honor and performed at the event. This year’s inductees also included Tim DuBois, who wrote hits like “The Bluest Eyes in Texas” and helped put the band together, and Scott Hendricks, who produced the band’s music in the 1980s.